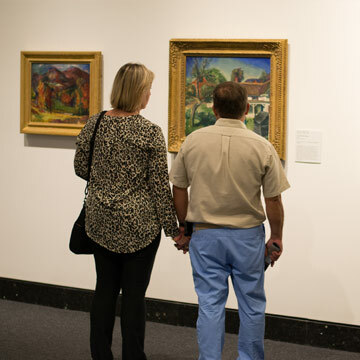 This exhibition presents highlights from the Museum’s holdings of modern American, European and Latin American art dating from the 1870s through the 1950s. Featured works include landscapes, city views, portraits, figural studies, still life subjects, sculptures and glass by more than forty artists. The selected works represent acquisitions spanning the Harn Museum’s history, including a number of gifts in honor of the Museum’s 25th anniversary. Milton Avery, Carl Holty and Stuart Purser share an interest in the visual expression of personal experience, emotions and other elusive subjects. The theme of contemporary life in America is addressed in numerous works on display here. The dynamic urban views of Francis Criss, George Grosz and Bertram Hartman portray the vitality of the modern city and reveal the influence of European abstraction. These are complemented by studies of city dwellers by social realist painters Raphael Soyer and Isabel Bishop. 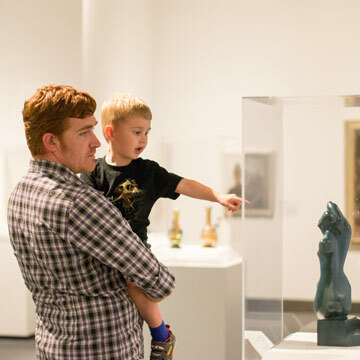 The human figure is also addressed in paintings by Palmer Hayden and Pedro Figari, as well as sculptures by Elie Nadelman and Alexander Archipenko. These are dynamic studies of the human figure that challenge traditional concepts of pictorial representation and reveal the influence of European avant-garde styles. The paintings of Albert Gallatin, Raymond Jonson and Werner Drewes depict less recognizable imagery and represent studies in pure abstraction. Finally, the exhibition also includes still life subjects by Preston Dickinson, Arnold Blanch and Yasuo Kuniyoshi. These appear alongside superb examples of American art glass by two of the movement’s greatest pioneers, Louis Comfort Tiffany and Frederick Carder. This exhibition is made possible by the Eloise R. Chandler Program Endowment. 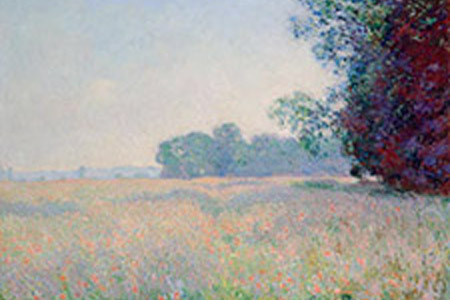 Visit 1000 Museums' website and order a print of a Harn work of art in any size. Gaston Lachaise, Head of a Woman (The Egyptian Head), c. 1923, gift of friends of the Harn Museum. Robert Gwathmey, The Woodcutter, c. 1945, Museum purchase, funds provided by the Caroline Julier and James G. Richardson Art Acquisition Fund. Suzy Frelinghuysen, Cubist Still Life, c. 1943, Museum purchase, funds provided by the Caroline Julier and James G. Richardson Acquisition Fund, with additional fund provided by exchange, gift of Helen Sawyer Farnsworth.